DO YOU WISH YOUR TEETH WERE STRAIGHT? Do you have gaps and/or spaces between your teeth that embarrass you and stops you from smiling? When you look in the mirror, are there more than 3 things you would like to change about your smile? Do you dislike your smile in photographs? Do you ever feel like smiling but stop yourself because you are not happy with your teeth? Dental bonding is a quick and affordable way to correct a variety of dental flaws such as cracks, discolorization, chips, gaps between teeth, uneven teeth and tooth decay. It can help you brighten your smile and make your teeth look perfect. Composite bonding uses specialized dental materials that are applied and bonded to the tooth. The materials come in a large range of shades in order to exactly match the natural color of your teeth. The tooth is then sculpted into the perfect shape. Composite bonding usually only requires one visit for the entire procedure which makes it less time-consuming and less expensive compared to other dental restoration procedures. Instant Orthodontics is the practice of using veneers or laminates instead of braces to make teeth appear straight or close gaps between teeth. The extent to which instant orthodontics can be used depends on how crowded or crooked your teeth are to begin with. Our team will give you an evaluation today to review your options. At Versailles Dental Clinic we specialize in several different types of orthodontic services and highly specialized products to improve the functioning and presentation of your teeth as we believe a well-aligned smile is important to your oral health. Porcelain crowns can be very effective in solving a variety of dental problems such as a broken tooth, a weak tooth that cannot stand normal use or a tooth that is worn down. They are also excellent for supporting teeth that have had many or large fillings and are in need of dental implants. We use crowns made entirely of porcelain because they create the most natural smile possible by matching teeth perfectly and have enhanced strength and durability without the need for metal bases. Inlays and onlays are durable alternatives to ordinary fillings. 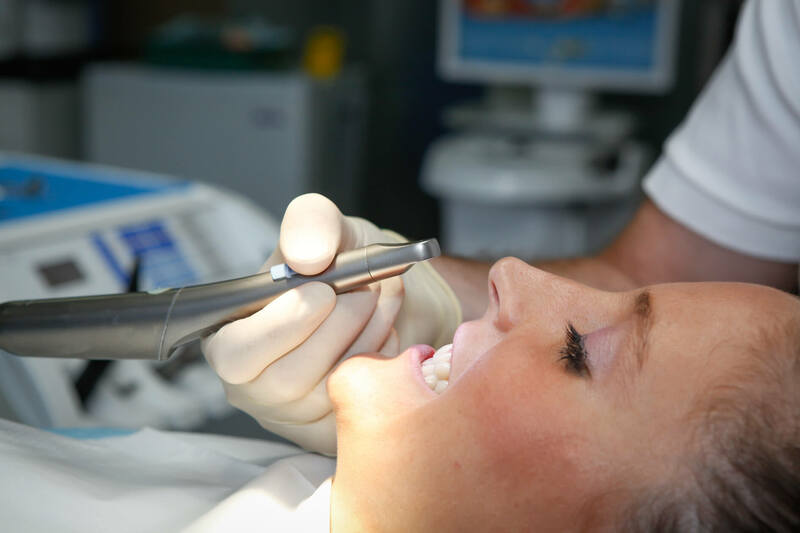 They are custom-made by our specialists and are bonded to the teeth need repair. Inlays are bonded in the center of a tooth and are usually used for decayed or damaged teeth where the problem areas are shallow but wide, near the outer surfaces of the tooth. Onlays are used where there is a large cavity that needs repairing and a previous filling needs replacing. At Versailles Dental Clinic we strive to protect teeth and save as much as possible. Porcelain inlays and on-lays not only give more support to your remaining tooth structure but can also greatly minimize the chance that you could eventually require dental crowns, bridges, or implants. Ceramic or zirconium veneers can reconstruct several oral cosmetic problems such as misaligned, misshapen or stained teeth. They are extremely thin, custom-made, layered ceramic covers that are bonded to the surface of your teeth. They produce a brighter, straighter or fuller smile with a long-lasting and natural appearance. If you have considered investigating the possibility of veneers, we at the Versailles Dental Clinic invite you to come and talk with us to see exactly how veneers might help you improve your smile, self-esteem, and confidence.